Not that anyone wishes to argue semantics, especially about paint, however acrylic floor paint is somewhat of a misnomer. You see, acrylic floor paint is really not paint at all, but rather it is more a floor coating. Why bother to make the distinction, you are thinking? Because a coating is something that goes deeper than the surface meaning of paint which by all rights merely covers the surface. 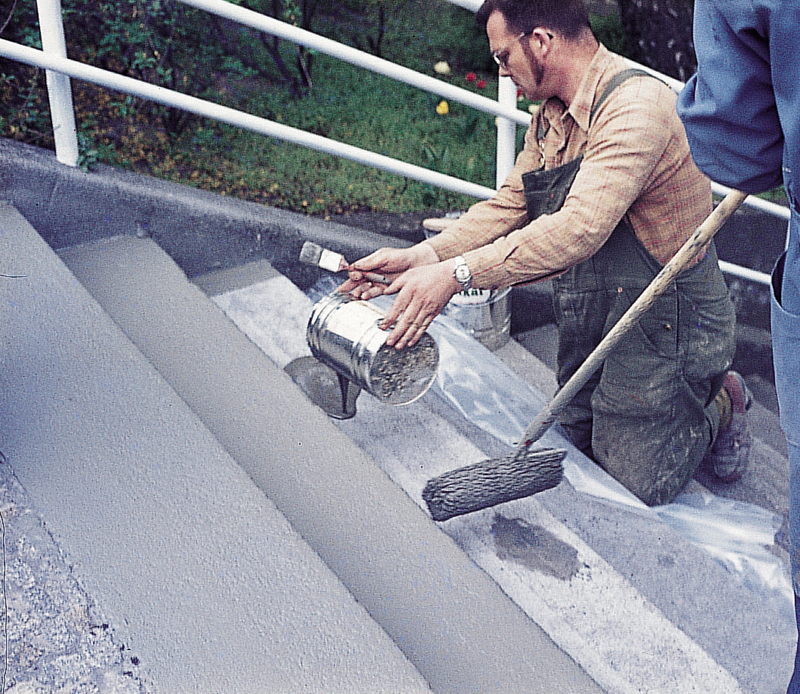 A coating goes deeper than just paints since it is actually a covering, much like the difference it would make to you to be covered by a blanket if it is windy, as opposed to being covered by a coloring agent of some kind. 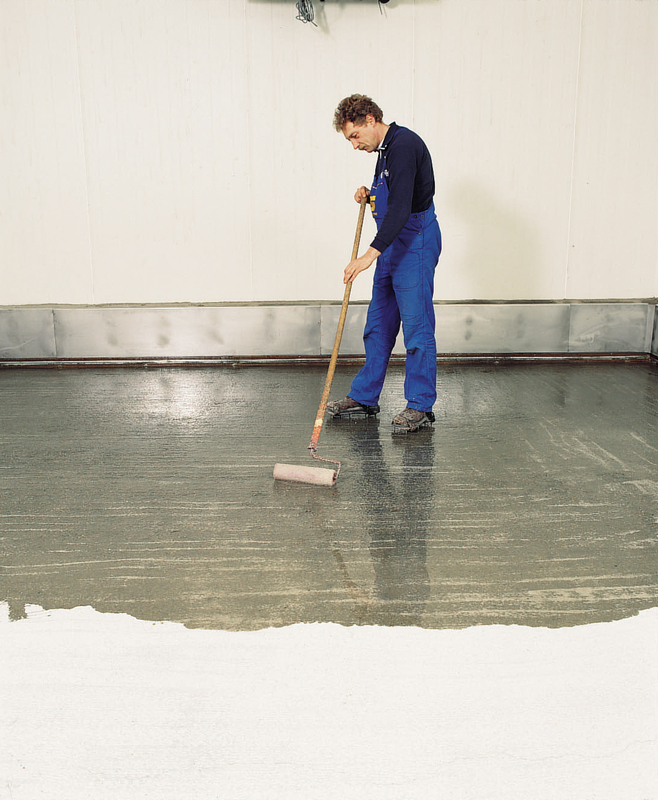 In most cases, since we are speaking of acrylic floor paint, as opposed to a floor coating, a floor coating will improve the properties of the surface of the floor, which in the flooring business is called the substrate. So, the scratch resistance, wear resistance, corrosion resistance, wetability, adhesion, and definitely the appearance of the substrate will change with a floor coating. With acrylic floor paint, basically only the appearance will change. 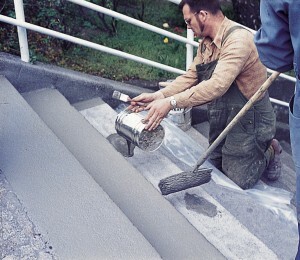 Thus, when someone calls a floor coating just plain and simple acrylic floor paint, it does not cover all the bases, anymore than a roller skate is a vehicle, although most vehicles have four wheels. One of the very best acrylic floor coatings that one can put on a floor is known as Silikal. 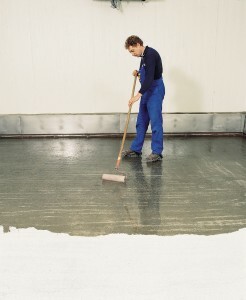 You see,Silikal goes the furthest from merely being acrylic floor paint, than any other floor product can. It is truly a floor covering. You may be wondering why this is so? First, Silikal is put down in such a way as to create an instant bond with the substrate. Perhaps if you create a mental picture of a hot English muffin receiving a healthy swipe of soft butter upon it, that will help you to understand the analogy. Just as the butter creeps into each and every nook and cranny of that hot English muffin without any impediment at all, so does Silikal enter the concrete that it is laid upon. It does this not because the concrete is hot, of course, but because it is enhanced MMA, and that’s what MMA behaves like.